Had my Dad lived, he would have been 100- years-old today! Instead, he’s having some birthday cake in Heaven. My Mom survives and is here on Earth. While I am the older of their two biological children, they were older parents when I was born. I thought I’d take a day to remember him and all he meant and means to me. I’ll also use this as a time to opine on “family of origin”. My Dad overcame a lot to graduate from the University of Alabama, shortly after the great depression. His mother, my Grandmother with whom I was very close, moved to Tuscaloosa and ran a boys’ college boarding house so my Dad could go to college and get his degree. Then along came World War II. My Dad dutifully and courageously served in the Army in the 103d General Hospital in London. He was involved in a landmine accident that impacted the remainder of his life with impaired hearing. I have to think as much as he talked about the “War” that there must have been some good times. I know he became an ace pool shooter and a swing dancer (maybe setting the precedent for me, you think?). I also think this was the time he became committed to diversity, and there’s nothing like covering each other’s backs when there is someone shooting at you—you align as fellow soldiers regardless of race, creed, and religion, and you help your fellow soldier. I witnessed him keep up with some of these fellow Veterans for most of his life. I think he brought his knowledge of diversity home from the War, and I learned diversity at his knee in the tumultuous sixties and seventies in Alabama. He witnessed the great march in Selma, Alabama after the federal judge allowed the march to happen from Selma to Montgomery. He met and married my Mother, and I believe they loved and treasured each other until the day of my Father’s tragic death from Alzheimer’s. Mother and Father had two children—a biological male and me. Dad taught me lots about family. First, a family of origin should be a very special bond, like no other. “I’ve got your back,” should be the motto. Much like soldiers in war, a family of origin should be able to rely on each other. Others should not be allowed to nick away at relationships and isolate. I was reminded of the “I’ve got your back” motto from Taylor Daniel at our law firm retreat last year, and I must say Taylor’s family is the model family of “I’ve got your back.” She has two brothers and they have her back, and she has theirs. Second, members of a family of origin should not take more than they give. When one person takes, and the other person gives—and this becomes the recurrent pattern, the family of origin begins to lose its bond. There has to be balance in the taking and giving. 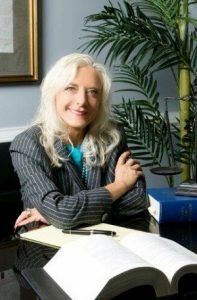 I talk to lots of people every day in my profession as a family lawyer, and I have to believe the imbalances of selfishness frequently arise from Axis II mental disorders of borderline personality disorder and narcissism. I’m sure there are other surrounding issues. I can conclude without the proper “I’ve got your back” and the proper balance of “give and take”, the relationships in family of origin do not survive. Dad was the glue of our family of origin, and as I predicted in my Eulogy at his funeral (although graciously stated), our family of origin would not survive his death. My prediction was right, but Dad did his best. There were simply forces that were and are beyond his control. Dad, continue to rest in peace. Hope you are playing some checkers and pitching some softballs, things I enjoyed in my childhood with Dad. Oh, don’t forget to watch Alabama football, but I’m sure you wouldn’t. Don’t worry about Mom. She is doing well, and I am watching “her back”, although I’ve had to fight off a thief or two.